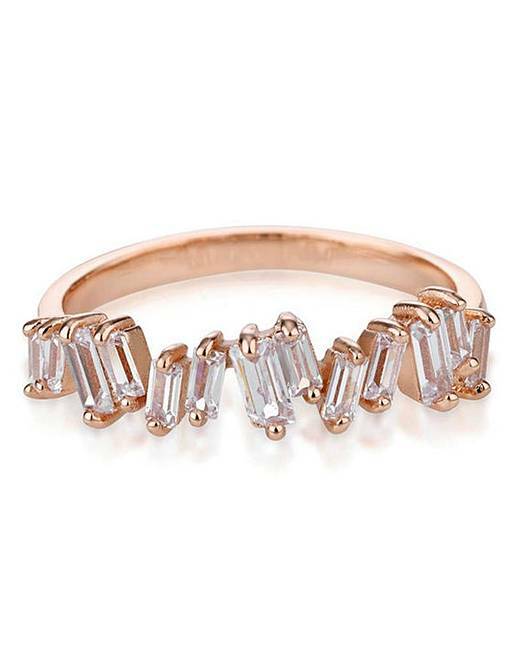 A beautiful and unique piece for any occasion, the Belgravia ring is plated in polished rose gold and set with an unusual slanting assortment of baguette cut cubic zirconia. Wear with the matching pendant, bracelet and earrings for stand out style. Matching earrings, pendant and bangle are available separately. Available in sizes small (UK size K), medium (UK size O) and large (UK size R).